FTII JET 2018 is also called as Joint Entrance Test for the admission to the Post Graduate Diploma Course in India’s two most recognized institutes in the film industry that are Film and Television Institute of India (FTII) and Satyajit Ray Film and Television Institute (SRFTI). Candidates across the country who aspire to serve film industry through arts and craft have wonderful opportunity to learn it under Film & Television Institute of India (FTII), Pune or Satyajit Ray Film &Television Institute (SRFTI), Kolkata. The courses offered by FTII and SRFTI are considered equivalent to the master degree awarded by Indian Universities. FTII JET 2018 will be hosted by FTII, Pune at 26 centres across India. It will be a written test of 3 hours consisting objective and subjective type questions. The exam will be held in two sessions (forenoon & afternoon) on 18 February 2018. The last date to apply online is 25 January 2018. The result will be out by the end of March 2018. Academic Eligibility - Candidates must have at least bachelor degree in any discipline. Eligibility for Sound Recording & Sound Design, Sound Recording & Television Engineering/Sound for Electronic and Digital Media: To be eligible for these 3 courses, the candidates need to have Bachelor’s degree in any discipline with Physics as a subject at senior secondary (10+2) level. Eligibility for Art Direction & Production Design: Candidates must have Bachelor’s degree in applied arts, architecture, painting, sculpture, interior design or related fields in fine arts or equivalent diploma from a recognized institute in any of the above. Final Year Students - Candidates appearing for the final year of Bachelor's degree, and awaiting results, can also apply for JET 2018. However, they need to submit a passing certificate from the Principal / Registrar of their University/institution (issued on or before the date as stipulated by the respective institute) stating that they have completed all the requirements for obtaining the Bachelor’s degree, on the date of the issue of the certificate. The online form submission will continue from 12 December 2017 to 25 January 2018 till 5 p.m. Candidates can register for only one course in each category (Film wing group and television wing group). Candidates can follow the steps given below to apply for JET 2018. STEP 3: Pay the Application Fee that can be made in online mode through Debit card/Credit Card only. The candidates can download the admit cards from 8 February 2018, till 18 February 2018. Only the online copy of the admit cards will be available, No admit cards are to be sent to the students via post. Candidates have to download and preserve the copy of the admit card until the admissions are over.Carry the printed admit card at the time of exam or you will not be allowed to participate in the FTII JET Exam. Selection criteria for PG Diploma Course in Acting- Candidates who will qualify in JET 2018 and Auditions will be called for orientation and interview. Once the candidates get selected for the institutes they have to undergo a medical test which is mandatory and conducted by the institute itself. Duration of Exam- 3 hours, Morning session for Film wing group and afternoon session for Television wing group. Type of Questions- Multiple Choice Questions (MCQ) and Subjective Both. The OMR sheet will be provided for multiple answer questions (MCQs). Each session will be of 100 marks which will further divided into two sections, 50 marks MCQs and 50 marks descriptive answer. Indian History, Culture, Art, Architecture, Music, Folk-art, Cinema, Television etc. In this section, candidates will have to answer any 5 questions out of 8. This is just to check the cinematic expression and interest in this field. Each question will be of 10 marks. 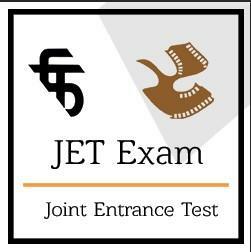 There are 26 test centres for FTII JET 2018 exam, Candidates have to select any of the two test centres at the time of the application form submission. Courses offered by FTII and SRFTI are given below along with the number of seats in each course, The courses are divided into two groups that are Film Wing and Television WIng. 15% of the seats are reserved for Scheduled Caste (SC), 7.5% for Scheduled Tribe (ST), 27% for Other Backward Classes candidates belonging to the “Non-Creamy” layer (OBC-NCL), and 5% for Persons with Benchmark Disabilities (PwD) candidates.